Two-day course based on the IET Code of Practice for In-Service Inspection and Testing of Electrical Equipment. Candidates require the IET Code of Practice, which can be ordered through SET at additional cost and may be used as a reference during the C&G multi-choice examinations following the course. 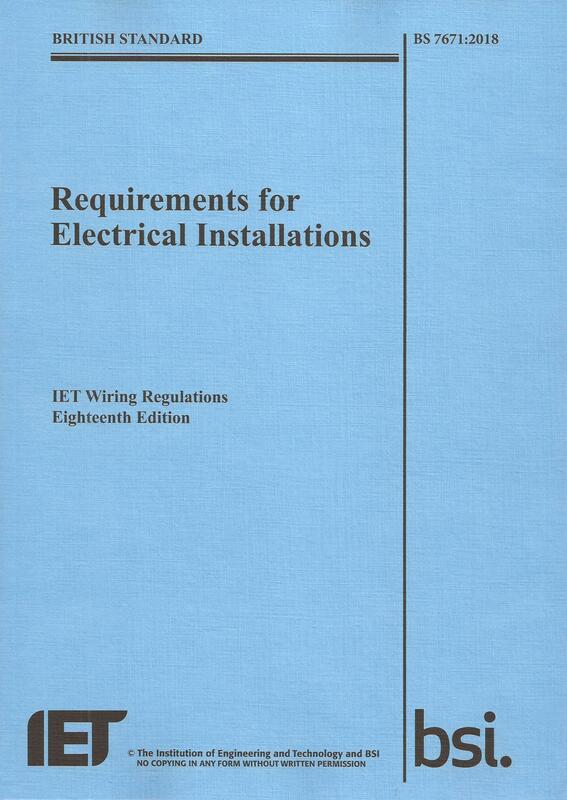 This scheme is designed to ensure that practising electricians and managers are familiar with the IET Code of Practice for portable appliance and equipment testing. There are two multi-choice examination components; one for those who carry out inspection and testing and one for managers - delegates may opt for one or both components. The course content is common to both components and covers relevant legislation, inspection and testing requirements, documentation and record keeping, interpretation of results and labelling of equipment. 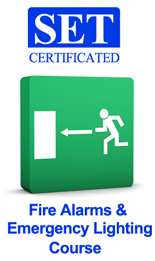 This qualification is designed for those who undertake the relevant inspection and testing. Candidates will be required to demonstrate the practical ability to test and record results and ideally should have appropriate test instruments. The assessment consists of a 50 question multiple-choice examination (open book) of one hour and forty five minutes and a practical assessment. This qualification is designed for managers and administrators who have the responsibility to oversee inspection, testing and maintenance of electrical equipment. The assessment consists of a 40 question multiple-choice examination (open book) of one hour and twenty minutes. To download a pdf version of our Course Brochure including prices, please click on the icon below. 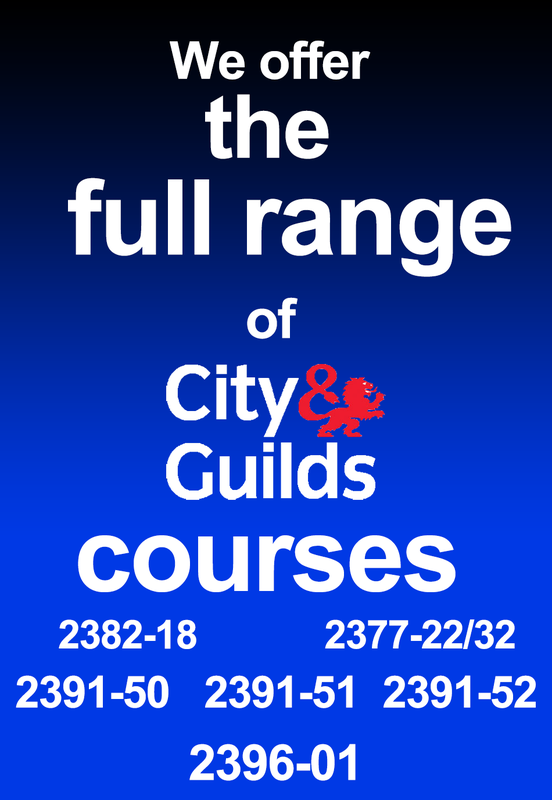 We are a City & Guilds approved centre.